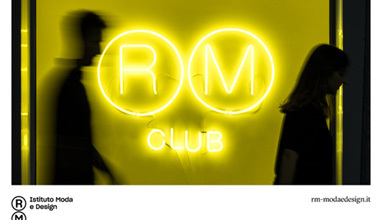 RM Istituto Moda e Design, one of the most exclusive fashion and design schools in the world, located in the center of Milan, is celebrating its First birthday by offering 100 scholarships for its International Masters in design and fashion. It has allocated 500.000 euros in scholarships for the Masters that start in February and November 2019. 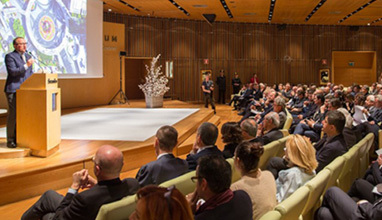 The goal of RM is to encourage young and deserving international talents to complete their education in a top-level Master in Milan. 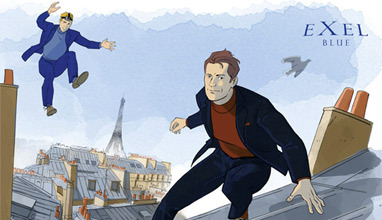 On Monday, April 16th Cartier celebrated the launch of the Santos de Cartier watch to convey the bold and fearless spirit of the Maison at its Cartier Legendary Thrill party hosted by Cyrille Vigneron, CEO of Cartier International and Francois Marc- Sastre, Managing Director of Cartier South East Europe. Guests were entertained by International DJ Martin Solveig. 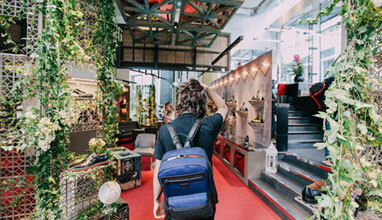 Raffles Milano, one of the most exclusive fashion and design schools in the world, located in the center of Milan, is offering 20 scholarships for its international Masters that stars in the 2018/2019 academic year. 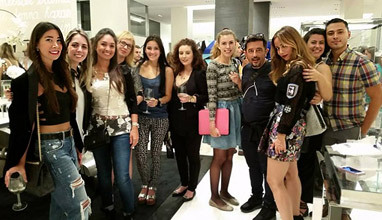 The Camera Nazionale della Moda Italiana (The National Chamber for Italian Fashion) is the non profit making Association which disciplines, co-ordinates and promotes the development of Italian Fashion. 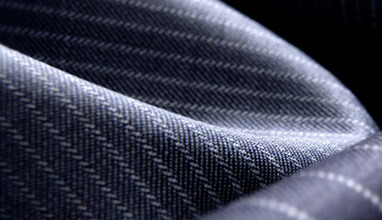 Made-in-Italy textiles (including wool, cotton, linen, silk fabrics and knits) are expected to close 2017 with an overall turnover of Euro 7.94 billion, up by 1.3%, according to estimates by the Confindustria Moda Research Center. 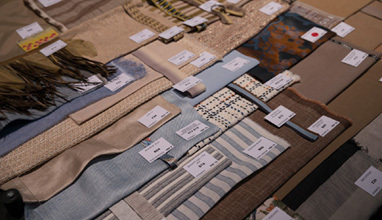 For this Spring/Summer 2019 edition, Milano Unica exhibitors showcase renewed interest in experimentation not only in terms of trim, i.e. 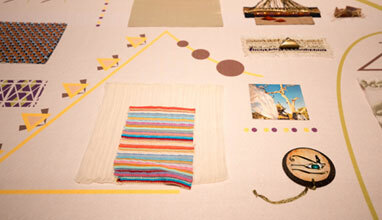 embroideries and prints, but also in textile production. 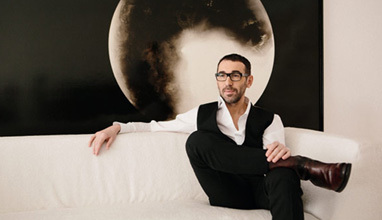 At the 26th Edition of Milano Unica there was a meeting of Alessandro Sartori, Artistic Director of Ermenegildo Zegna with Italian students in fashion in conversation also with Simone Marchetti - Fashion Editor - D la Repubblica and Affari e Finanza. 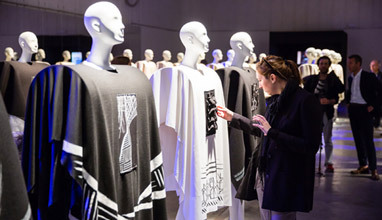 The theme was "Crafting modernity: innovative design merges with couture techniques to create the silhouette of tomorrow." 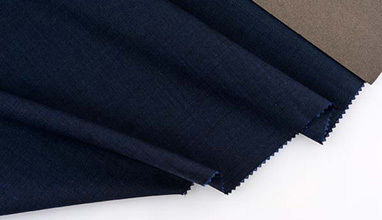 For the first time at FILO Milano, Filatura C4 is proud to present, in addition to the already established Re.Verso™ collection for contract, the Blue Drop winning fabric by Audejas, made with Re.Verso™ re-engineered wool. A result born from the shared commitment and vision to integrate a new generation of eco values into their circular economy creations. 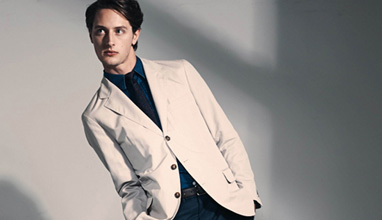 Lanificio Zignone presents their Spring/Summer 2019 collection with an innovative design and performance: high-quality fabrics, elegant and dynamic like the men they are thought for. 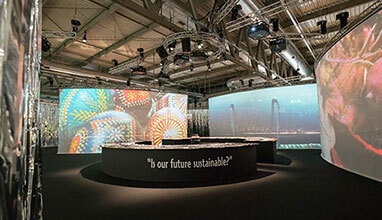 The event focuses on sustainability and it is a chance to illustrate the mill’s commitment to conscious water use. 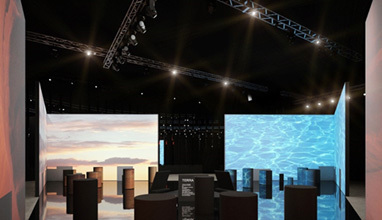 Continuing to inspire and connect designers with the world’s best commercially available Merino wool fabric and yarn manufactures, The Woolmark Company will unveil the latest edition of The Wool Lab at Milano Unica, February 6 - 8. 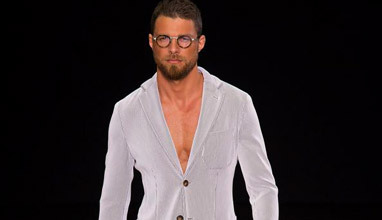 Cabo Blanco and Cartagena: two exotic locations in South Africa that inspired both literature noble prizes and the Piacenza Cashmere spring-summer collection 2018 showcased at the 26th edition of Milano Unica. 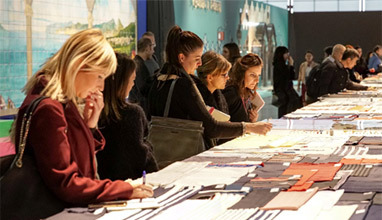 The 26th edition of Milano Unica, Italian Textiles and Accessories Trade Show, which was held at Fiera Milano Rho from 6 to 8 February, not only registered a significant uptick in exhibitors (+14%), but also a corresponding rise in the companies visiting the fair, a total of 5,949. 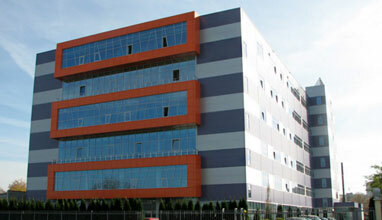 In particular, foreign companies increased by 10%. 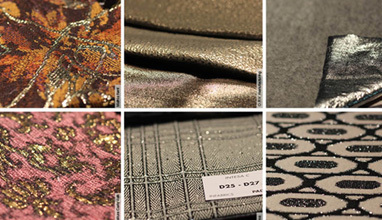 This result, especially in the February edition, featuring materials for the Spring/Summer collections, rewards the courageous and innovative decisions made under the helm of Ercole Botto Poala. 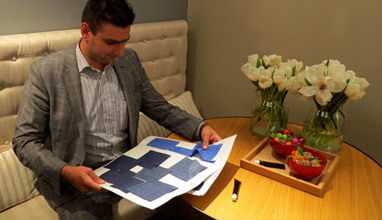 Decisions that led to a fond remembrance of the contribution made by Silvio Albini, past President of the trade show and recently deceased. 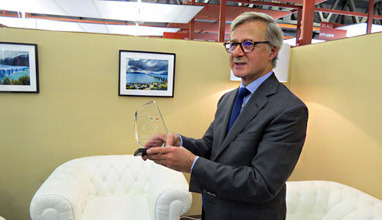 The second day of Milano Unica reprised the first day’s success, with exhibitors pleased with the quality of the buyers, who flocked to the trade show’s exhibitor areas, Event Areas and Special Sections of the Salon. 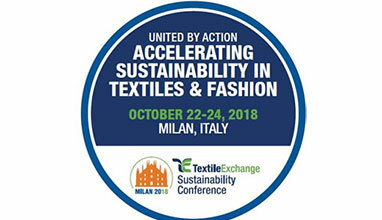 The Inaugural Ceremony, which began with a heartfelt tribute to the memory of Silvio Albini by President Ercole Botto Poala, presented the public with an interesting overview of prospects and opportunities for the Italian textiles sector in the near future. 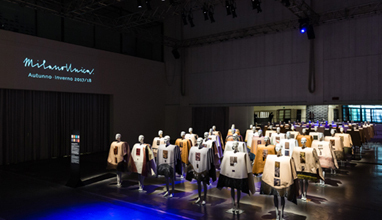 The new collection was presented at a reception in the exposition spaces of Via Tortona: a must-visit venue during the Milanese Fashion week. 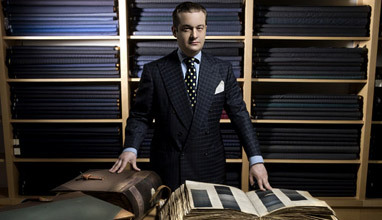 The Vitale Barberis Canonico wool mill, one of the oldest in the world with more than 350 years’ history and with the thirteenth generation of the same family at the helm, presents the new Spring/Summer 2019 collection at the Milano Unica XXVI edition. For this collection, the designers were inspired by the colours, the surroundings, and the graphics of NOMADISM: from the desert Tuaregs, to the Mongolian populations of the tundra, to the Maasai of the African uplands, a nomad by his very nature is constantly on the move. The animate and inanimate things all around him must be suited to his predisposition to travel. 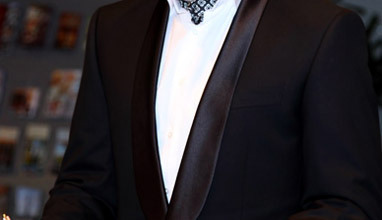 Most of all, his clothing. 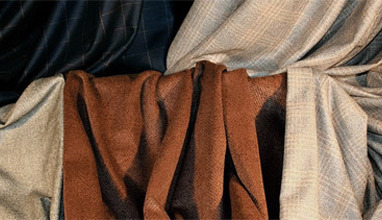 For Spring/Summer 2019, Trabaldo Togna has brought out an even richer collection of Estrato fabrics with enhanced designs. The path through the pavilions of Milano Unica leads visitors on a journey through all the product categories typifying excellence in materials, tradition and creativity, Italian and European. 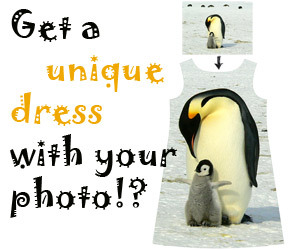 Ecology and Fashion: the combination is the topic of the moment. This is not a passing shift for environmental issues but it is an urgency that requires commitment and dedication by all. 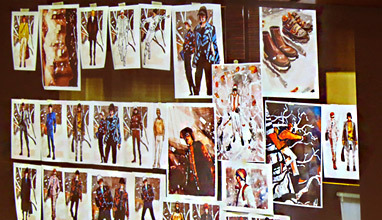 Above all it involves fashion that uses its language to affect not only aesthetics, but also lifestyles and ways of thinking. 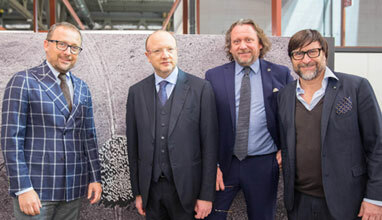 WHITE expands its geography within the Tortona Fashion District, with the hub in Tortona 31/Archiproducts and with the venue for special projects and events within Camera Italiana Buyer Moda, which add to the three already existing locations. 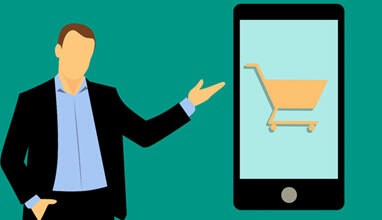 The timing is extended to four days, in view of the fashion week, so as to converge all the sector’s initiatives in the same period, thanks to MISE. 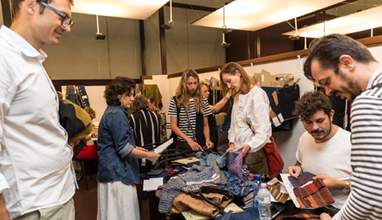 The record number of 532 exhibitors (368 from Italy and 164 from abroad, namely a 6,4% increase), goes to show the key role the trade-fair plays in the womenswear international scene. 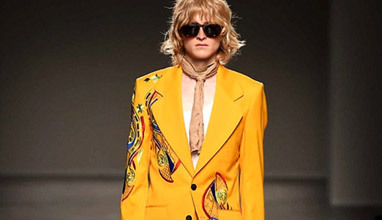 Ssheena is September’s Special Guest with an Urban Catwalk in the heart of Milan, while Efisio Rocco Marras is the Special Designer, with the new direction undertaken by I’M Isola Marras. 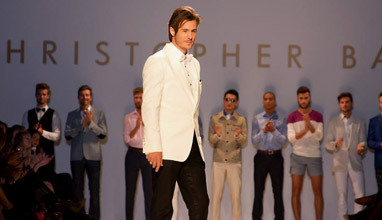 Consolidated brands, international ones and cutting-edge labels are the event’s protagonists, comprising a rich calendar of events that has reached over 390 requests for entry, of which 134 from abroad. 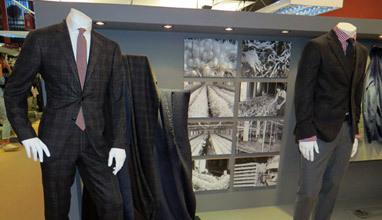 Dormeuil presented its new fabrics collection at Milano Unica (from 11 to 13 July at the Fiera Milano - Rho). 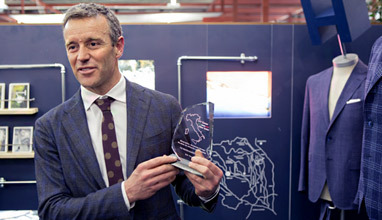 The new Loro Piana corporate textile campaign was launched in occasion of the Milano Unica textile fair (11-13 July at the Fiera Milano - Rho) and it is dedicated to the iconic Tasmanian® fabric. 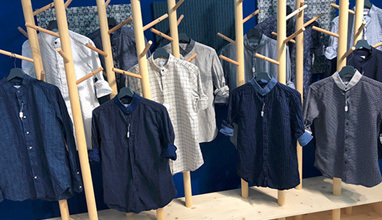 Lanificio Zignone, the dynamic, historical, family-run textile company in Strona (Biella), presented Fall/Winter 2018-2019 fabrics collection at the 25th edition of Milano Unica (from 11 to 13 July at the Fiera Milano - Rho). 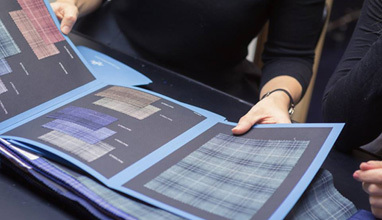 The highlights in the collection are the original stretch fabrics, characterised by contemporary elegance united with excellent performance for the business traveller. 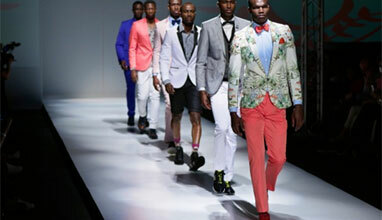 The Menswear Design Course will allow students to develop the sense of taste that is needed to design clothes for men. 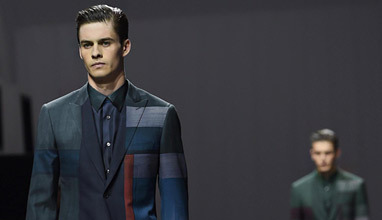 Milan is famous for its best Menswear Collection. 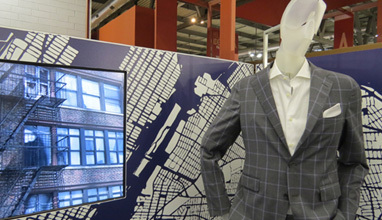 Learn how this city leads the worlds mens collection through research and designing based on real clothes for men. 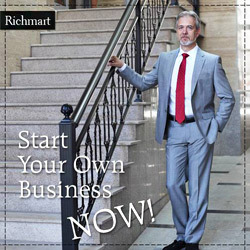 The objective is the development of the creative talent of young people who plan to become professional fashion designers, widening their abilities through research and attentive observation for the creation of an innovative and individual fashion collection. 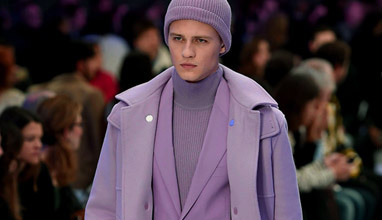 We are going to show the trends for Fall/Winter 2018-2018 in menswear. 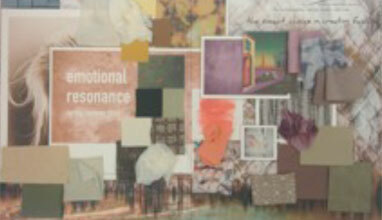 The materials, textures, colours and prints. 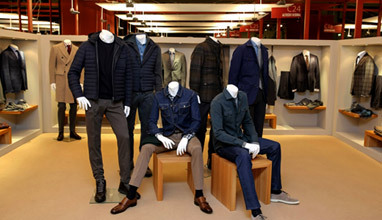 Milano Unica one of the largest fairs defines the trends every season. So it is time to show the newest ones. 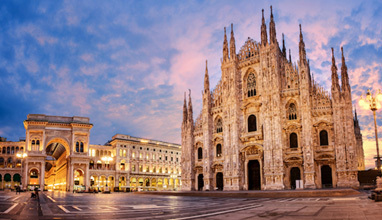 Italy and its beauty is at the heart of Milano Unica, the trade show ‘by entrepreneurs for entrepreneurs’, that leverages on the excellence of Made-in-Italy production. 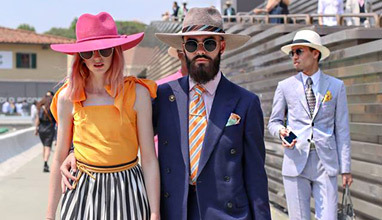 Italian fashion photographer Carlo Campi commutes from Florence to Milan to attend fashion weeks and glamorous events. 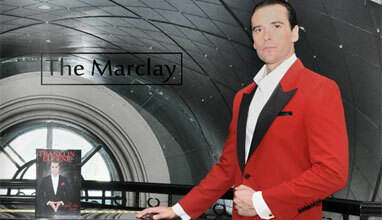 His innate passion for fashion and a life-long study of photography are the key to an all-round aesthetic vision. When professional techniques are applied by a sensitive soul, magic happens. 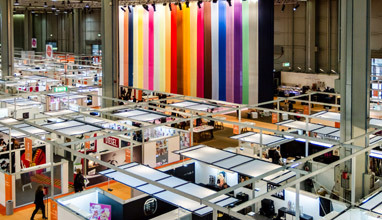 The trade show will feature several moments dedicated to various aspects of the world of fashion: from high end production - with the presence, for the second edition within Milano Unica, of Origin Passion and Beliefs - to the international dialogue with the traditional Japan Observatory and Korea Observatory, from the new entries like the textile designers to fashion press, trend books and models, the desks dedicated to the students of Polimi and comON, the designers of The Fabric Program (in collaboration with CFDA, the US Chamber of Fashion) making their selections, to Vintage. 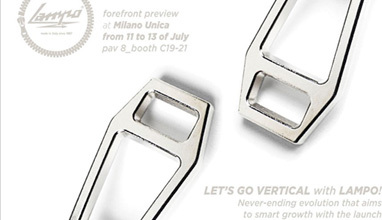 Milano Unica will take place from 11 to 13 July at Rho Fiera Milan. 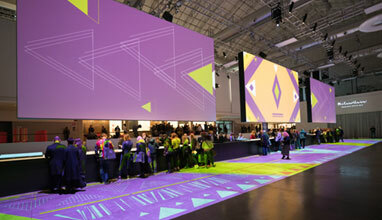 Read about all the trends and events at the exhibition. 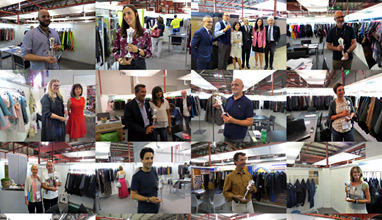 White Man & Woman was a 3 day event held from 17th to 19th June 2017 at the Via Tortona in Milan, Italy. 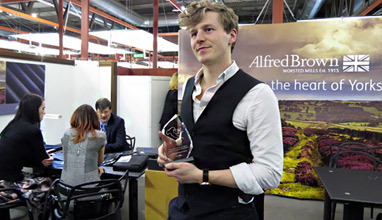 This event showcased products like outodoor style and fashion. 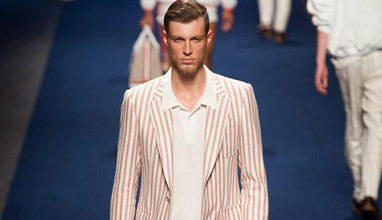 We selected to show you the suits that were presented, mainly in white, blue and light gray, suitable for the summer. 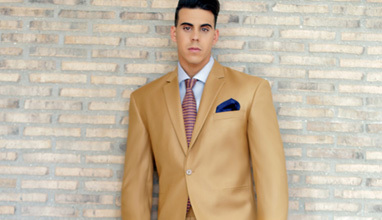 The suit jackets are combined with jeans or wide-leg trousers. 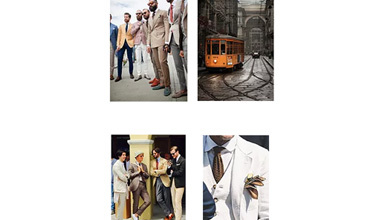 MonteNapoleone District, Milano Unica and Robb Report present "The Modern Man"
From June 10-20, in via Montenapoleone, a photography exhibition, devoted to fair play and the modern man, creates a Milan-Florence axis that reinforces at an international level the pre-eminence of Italian Men’s Fashion Week. 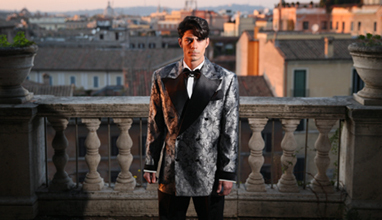 Focus of the first exhibition: the jacket. 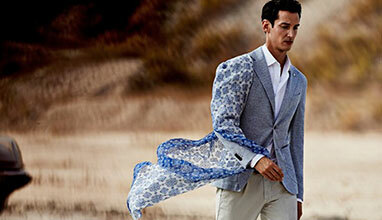 Emma-Jane is a London based Fashion, Lifestyle, Celebrity and PR Photographer. 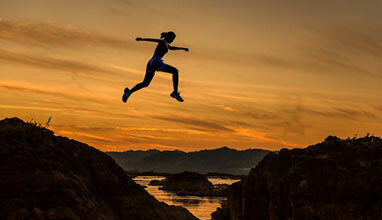 She started her career as a photographer in the picturesque Devon countryside. 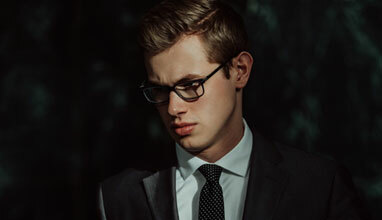 Building up a strong portfolio before moving to the city of London, having already developed a reputation for pushing boundaries and creating stunning visuals. 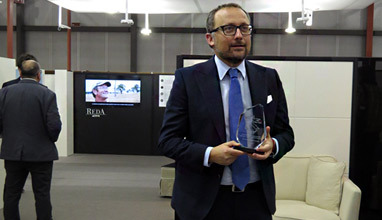 Everyone was especially happy and enthusiastic about the 47th session of the eyewear industry’s leading exhibition, which closed in Milan yesterday with more than 55 thousand entries of visiting trade people from around the world, crowding the pavilions of a MIDO that was bigger and had organized an even busier calendar of events. This is a 5.5% increase over the previous year, for which attendance figures had scored an all-time record. 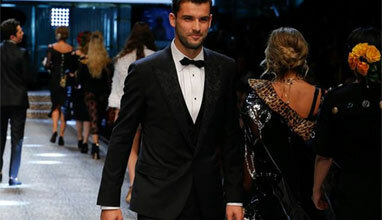 Grigor Dimitrov appeared in the presentation of the new collection of Dolce & Gabbana in Italy. 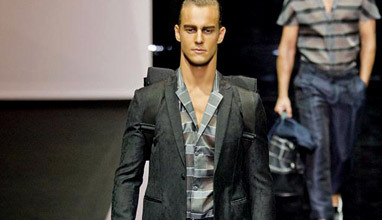 He even took the role of a model during the final show of the popular brand during Milan Fashion Week. 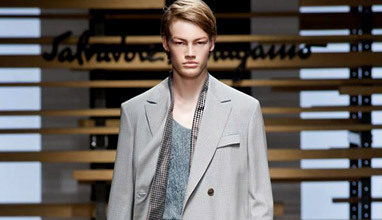 Summer was the main focus of Milano Unica in February. 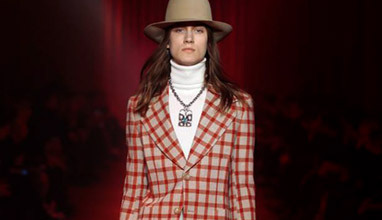 At the same time, there was more than a touch of trans-seasonal designs among the offerings by the classy exhibitors as buying patterns adjust themselves to multiple market demands. 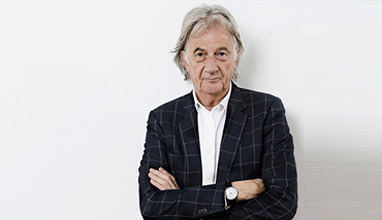 Sir Paul Smith design icon and entrepreneur will visit Milan to meet fashion students from around the world on February 1st, 5:30 pm. 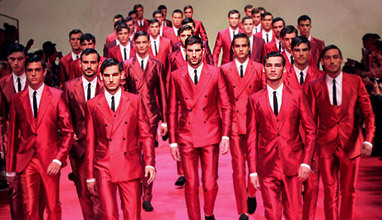 Milan Men`s Fashion Week was held in Milan, Italy. 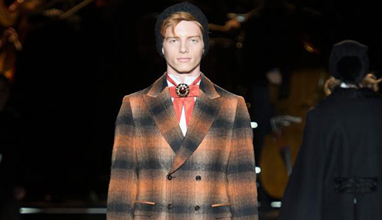 The leading Italian designers showed their creations for Autumn/Winter 2017-2018. 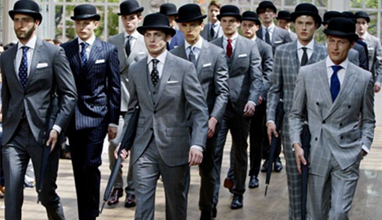 We spotted some interesting suit designs and here is a selection of the best of them. That was precisely the objective in studying Milano Unica’s spring-summer 2018 trends: to think differently by combining historical periods, places and people apparently on opposite poles but which in reality share a common meaningful and enlightened contemporary view. 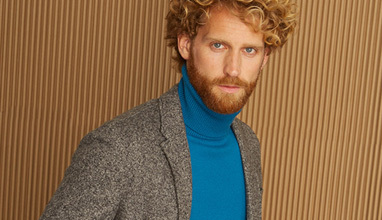 Vincenzo Grillo was born in Vibo Valentia, Calabria, in 1985. 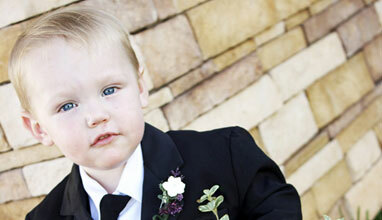 He begun to shoot since he was a child driven by his father’s love and experience. 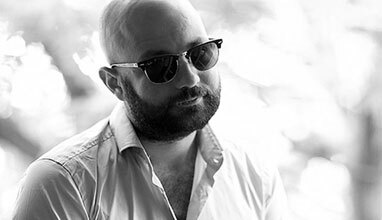 After graduating he moved to Milan where his brother, a photographer as well, engaged the world of fashion and beauty around the world. 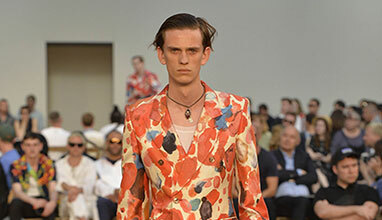 Antonio Marras joins the growing number of designers taking up the theme of travel for spring-summer 2017. 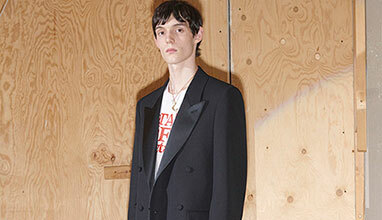 After an intimate presentation of his latest collection during Milan Fashion Week, the designer unveiled his lookbook for the season. 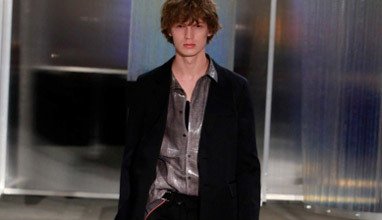 Model Reid Rohling is the collection’s protagonist, lending it a boyish quality. 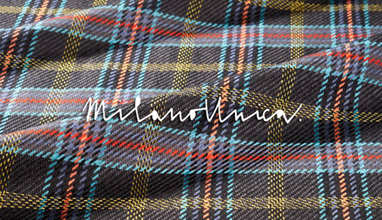 The pleasure of travel, the dream to bring together different cultures, the game of connecting past and present and the desire to rediscover historical figures of aesthetic and cultural importance: these are the cornerstones on which MILANO UNICA’s new trends for next Spring-Summer 2018 have been based. 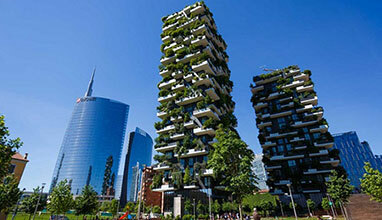 Conceived by Cristiana Schieppati and organized by Crisalide Press in collaboration with Milan City Council, the Chi ? 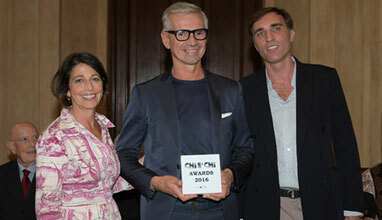 Chi Awards - now in their sixteenth year - opened the ball at the Milan fashion week, as has been the custom for the last sixteen years, with a ceremony at the Palazzo Marino in Milan. We are going to present you the fairs that are coming during the next year. You will see the dates, the places and a brief description of the fair so you could choose which of them to visit. 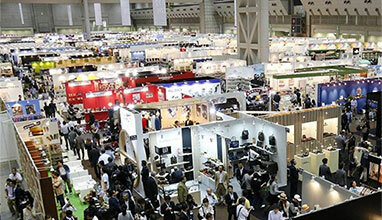 We will separate the fairs in two groups - Menswear Trade Fairs and Textile Trade Fairs. Exclusive cocktail Thursday September 22, 2016 at the Borsalino showroom in Via Sant’Andrea 5 in Milan for the presentation of the Borsalino Spring / Summer 2017 capsule collection by Nick Fouquet. 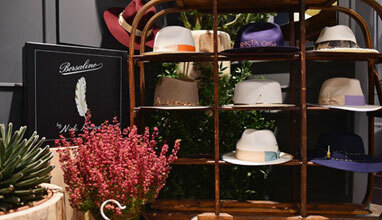 Borsalino and Californian designer Nick Fouquet welcomed international buyers, influencers, socialite and celebrities for a “meet & greet” with cocktail and live jazz accompaniment. 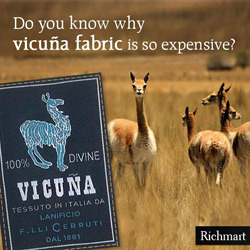 Clerici Tessuto, founded 1923, is one of the most important textiles manufacturers for the luxury sector, with ranges for men's and women's clothing, accessories and home furnishing, covering the entire finishing cycle of silk and other natural fibres. 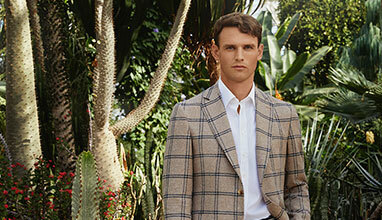 Tweed is the original sportswear fabric of Great Britain. 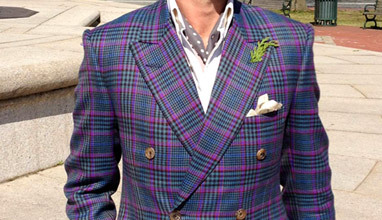 It is made of woven wool and is traditionally the way men have worn colors, patterns and texture whilst enjoying themselves in pastimes and country pursuits. 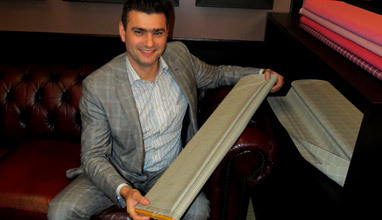 London-based company Dashing Tweeds is modernizing the cloth by working with technical yarns in combination with wools. 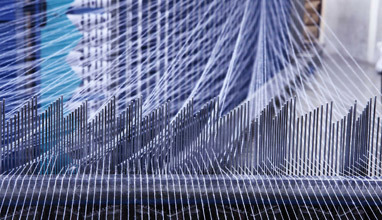 In 2016, Italian textile production opened with rosier projections than in the corresponding period of 2015. Exports gained +0.5%, while imports were up just +0.1%. 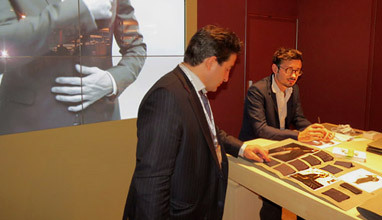 The 'New Beginning' of the 23rd edition of Milano Unica starts from the principle of offering a new dimension of service, creativity and excellence of the proposals put on display, with a view to accompanying visitors through the values of quality and authenticity that characterize Made-in-Italy production. 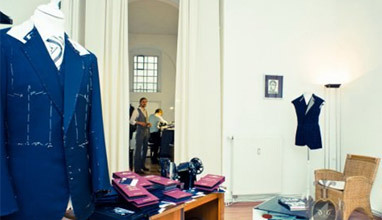 When it comes to bespoke tailoring, we first think about Italy, especially Naples and Milan or Savile Row or even Paris – but one city is hardly ever mentioned: Berlin. A new concept of formal wear is the leitmotif of the SS 2017 collection, where elements of sportswear intersect with the classics and are interpreted in fabrics that are only apparently traditional but actually light, bi-stretch and no-iron. 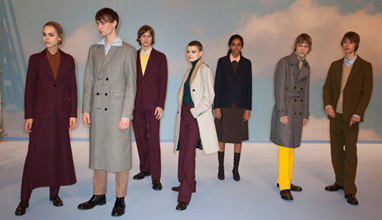 British luxury fashion house DAKS is also among the brands, which presented their latest men's collections during the Milano Moda Uomo / Milan Men's Fashion Week. A synthesis that comes from introspection, while seeking to harmonise shapes and languages in a determined, straightforward manner. 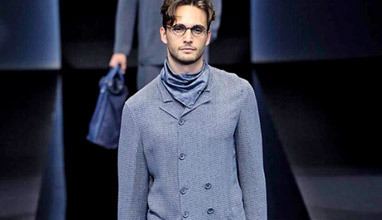 The spirit of the Giorgio Armani man embraces change, while staying true to its ethos. Individuals shifting within a pulsating metropolis who choose clothing to be present, live and to represent themselves, mixing recognisable shapes and signs in a personal way: it is a tense and sharp collection that stems from a reflection on today's meaning of identity. 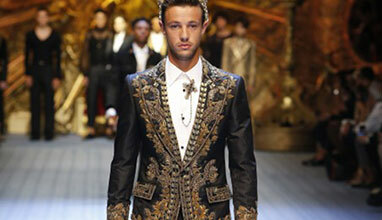 Italian designer duo Dolce & Gabbana presented its latest men's collection in Italy during the Milan Men's Fashion Week. 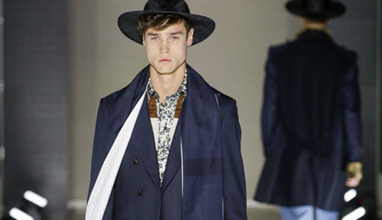 Among the models on the runway were Cindy Crawford's son Presley Gerber and Jude Law's son Rafferty Law. 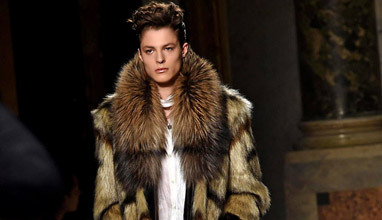 Recently Brioni, Bottega Veneta, Burberry, Tom Ford, Vetements and Public School announced that they say goodbye to Milan Men's Wear fashion shows. 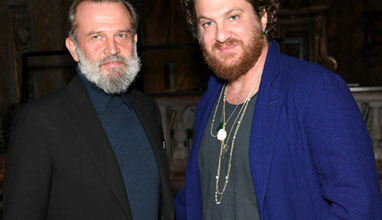 The final balance is 10 designers who have decided not to showcase their collections this year in Milan. Spring-Summer 2017 is a tale of introspection. 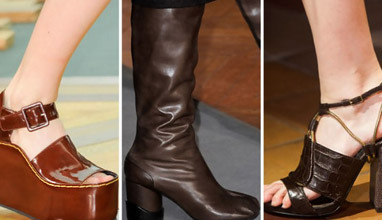 Craftsmanship, exceptional materials and distinctive details emerge as the central themes, manifesting themselves in unstructured yet tailored silhouettes, luxurious leathers and soft-spoken but unique variations on that timeless matter of elegance. 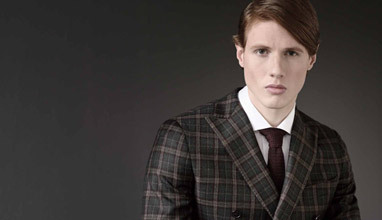 Helen Anthony is a luxury London-based British menswear brand , a rising star of Savile Row. 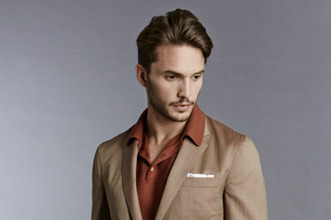 Label's range of high-quality, bespoke and ready-to-wear suits, leather collection and hand knitting collection offers a huge versatility. 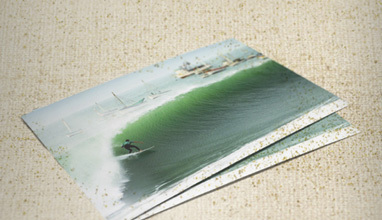 'I like the idea of a journey, like Marco Polo. I hate travelling but there are many ways to do it, whether in your mind, or in changing the tapestry of a chair, or through the pages of a book'. 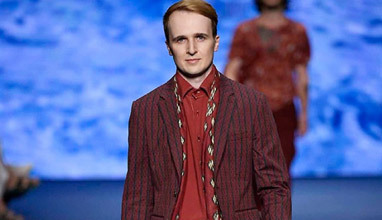 Etro relaxed tailoring collection with hippie notes sent the message that men's suit can be as comfortable as pajamas and still looking great and stylish - even worn with sandals or barefoot. 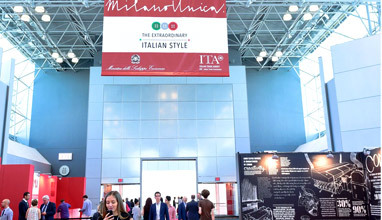 The exhibitor recruitment campaign for the second edition of PRIMA MU was terminated with success: the show will include 121 Italian and foreign exhibitors. 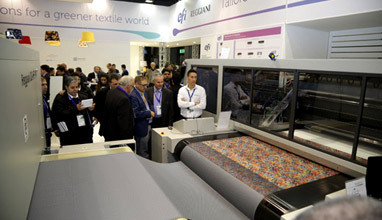 The first edition featured 66 Italian exhibitors and was visited by 1,580 highly qualified operators from 706 companies. 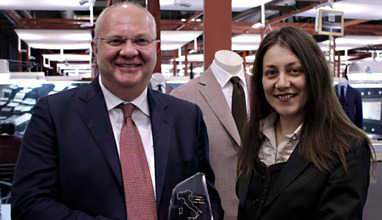 Prima MU had its debut in Milan. 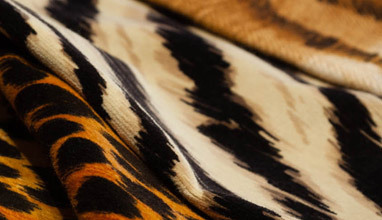 It is the first appointment with Made in Italy PRECOLLECTIONS of textiles-accessories devoted to those who aim at exclusive top-end Italian products. 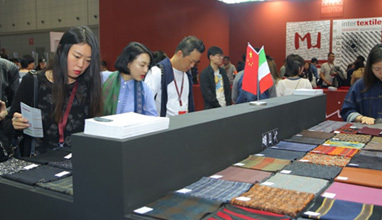 While presenting their PRECOLLECTIONS, each exhibitor is able to encounter various R&D representatives forming a constructive dialog, from both creative and business viewpoints. 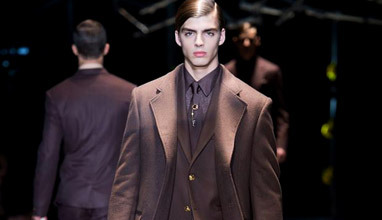 The Italian luxury tailor Brioni announced it would hold its next show on July 4 in Paris during the women’s couture season, dumping its usual June Milan men’s wear slot. 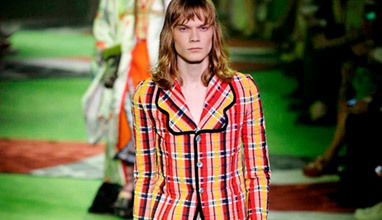 Alessandro Michele presented his Fall-Winter 2016/2017 men's collection for Gucci fashion house earlier this year in Milan. 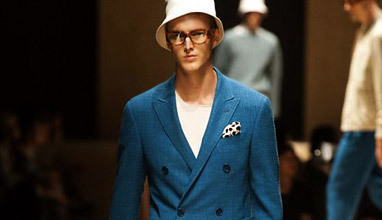 Brand's inspiration for this collection was Cartoon Character Snoopy and Italian Fashion Designer Walter Albini. 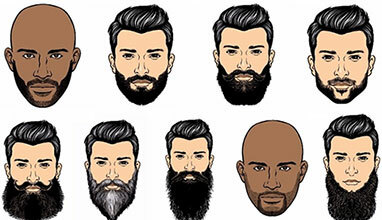 Time for trend moods. Time for ideas. The FW 2017/18 Milano Unica trends were presented at “La Pelota” in Milan to exhibitors and fashion community. The FW 2017/18 Milano Unica trends were presented at “La Pelota” in Milan to exhibitors and fashion community. 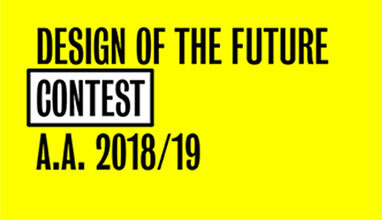 The event, conceived by Stefano Fadda, Art Director of MU, and his staff in collaboration with Antonella Matarrese, renowned fashion journalist, and SGS Architetti Associati, displayed a striking combination of modernity and style. 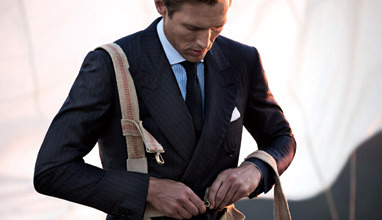 For Spring-Summer 2017 Loro Piana offers fashion fabrics, combining remarkable lightness with high performance and timeless style. 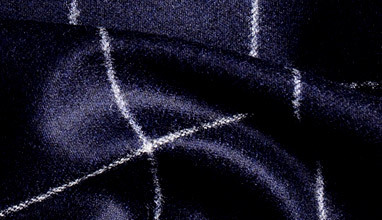 Cashmere, silk, wool, linen and next-generation materials blended in innovative and sophisticated ways. 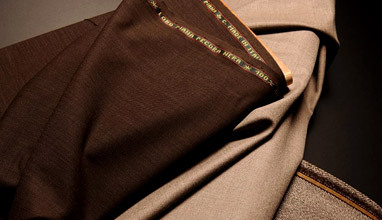 DRAGO is a leading Italian wool factory, which produces high quality menswear fabrics by interpreting the value of Italian traditions in a modern and innovative way. A fair and refined personality - this is the distinctive feature of the company's Spring-Summer 2017 Collection. 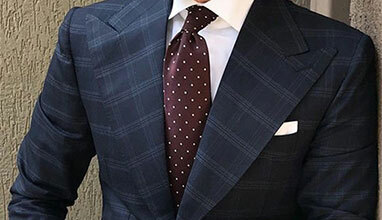 Looking at the male total look, where the suit is still acting the main role with its tartan fabrics and sophisticated designs distinguishing the style of the contemporary man, the shirt element becomes an accessory without loosing the basic importance. 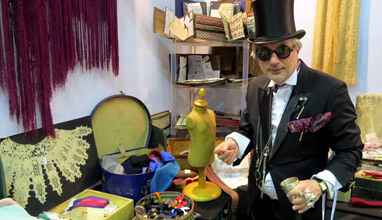 I felt the greatest pleasure at the vintage stand, where I brought from dark wine red retrograde sunglasses with green lenses and gold inlaysand also a wonderful red wine pochette on green drops and a black bow tie with small green apples. 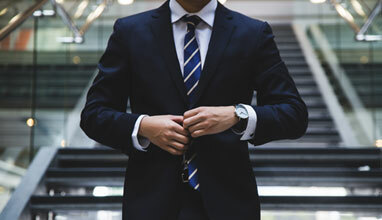 Creating a fair that breathes in synch with the urban environment means generating a series of flows, triggering a virtuous network of influences, offering a wider audience the opportunity to approach luxury in its truest form. 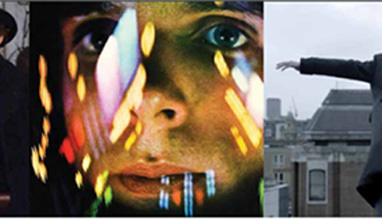 But it also means, for the operators, looking at reality and let themselves be inspired by it. 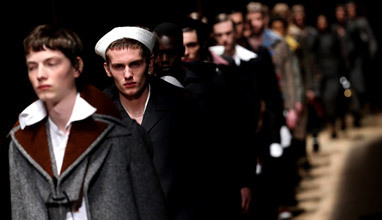 Fashion is not locked in an ivory tower: it makes sense when it looks at reality to rewrite it and imagine a new one. 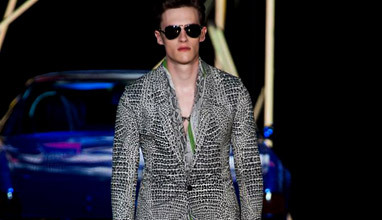 Men's Fashion Cluster Sales Director Dean Manev is at Milano Unica. 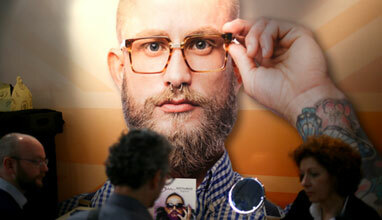 The trade fair takes place from 9th to 11th February in Milan, Italy. 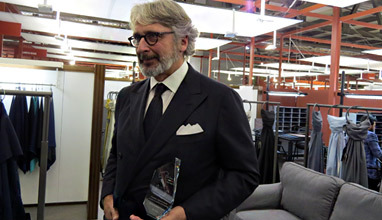 Dean Manev visited all fabric producers at Idea Biella and highly appreciated the collection of Loro Piana. 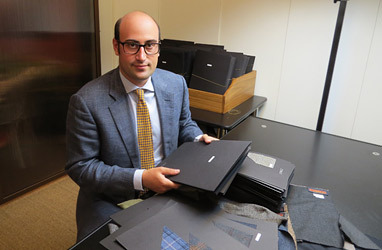 The Vitale Barberis Canonico wool mill is presenting at Milano Unica 22nd edition the new Spring/Summer 2017 'The Prince of Wales is back' collection. This collection celebrates the design of the Prince of Wales, the perfect design for a contemporary gentleman with a British twist. 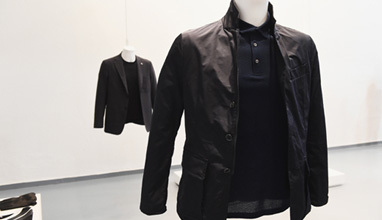 MU New York features prestigious materials for men's and women's collections; avant-garde materials for the 'fashion' market; traditional and novelty shirting fabrics; denim; accessories. 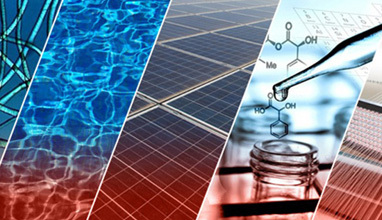 A total of 61 firms will participate in the upcoming edition, starting January 24, 2016. 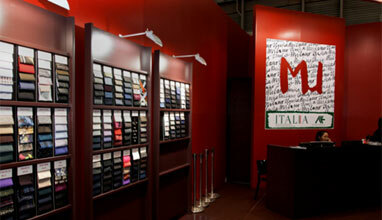 Milano Unica is a world-renowned trade fair, established in 2005. 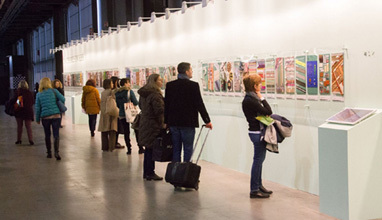 The XXII edition of Milano Unica will be held at Viale Scarampo, Milan, Italy from February 9-11, 2016. 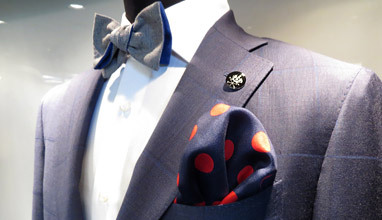 The Milanese buttonhole is a very iconic type of buttonhole and a sign of a bespoke suit. 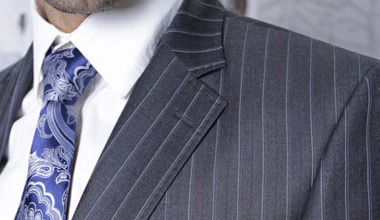 The Asolsa Lucida glossy buttonhole, which most likely originated in the Abruzzi region of Italy, is also preferred in Paris, whose tailors refer to this style of buttonhole as the Milanese buttonhole. 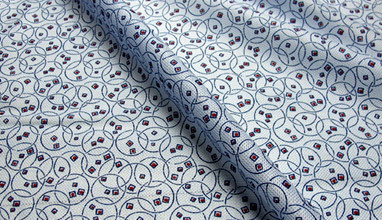 The silk gimp, key to the overall look, is usually from Guterman and is known as Agreman. 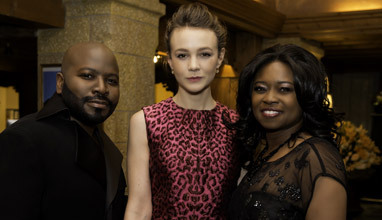 Stella Jean was born and works in Rome, where she also lives with her two children. 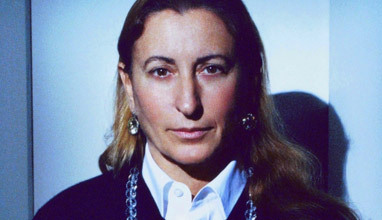 In July 2011 she was distinguished as one of the winners of the prestigious “Who Is On Next?” competition in Rome, organised by Altaroma in collaboration with Vogue Italy. 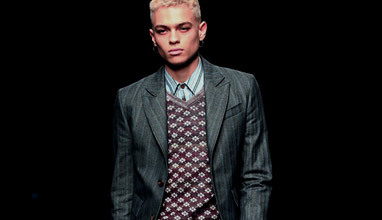 In June 2013 she debuted her first menswear collection at Pitti Uomo, as part of the Pitti Italics project. I saw them in a shop in Milan and I fell in love with those bags. They are so original and fresh. 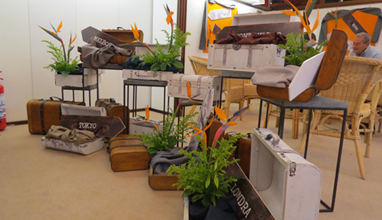 Below you can see the latest collection of Braccialini bags made in Italy. 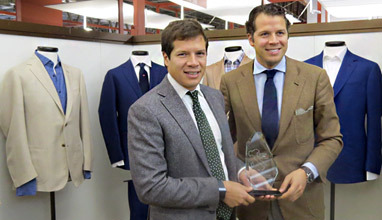 Vitale Barberis Canonico presented its latest collection at the XXІ edition of Milano Unica (September 8-10, 2015) and it concentrates on 3 core ranges: Classic, Vintage and Earth, Wind & Fire. MANGO gets Kate Moss and Cara Delevingne together to talk about their latest work, on the first day of Milan fashion week: the autumn/winter campaign #somethingincommon. 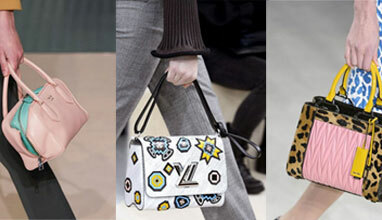 We presented for you the Handbags trends for Fall-Winter 2015-2016. 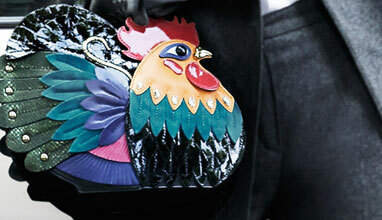 Now it is the time to show you, the most strange handbags presented during the Fashion Weeks in Paris, Milan, New York and London. 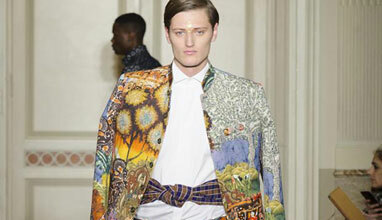 Uma Wang Fall-Winter 2015/2016 collection, dedicated to patterns and prints, was presented in Italy during the Milan Fashion Week and it offers: heavy volumes, flowing dresses, long overcoats, golden paisley patterns, floral prints, Earthy hues, black velvet and wool, white-collared tunic dresses. 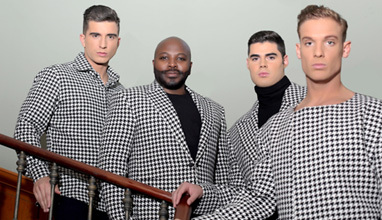 The campaign message is clear and is realised through checkerboard game knits, #PoliticiansRCriminals badges pinned to the models' lapels and roulette wheels emblazoned across T-shirts - including brand's official backstage tee. Last month, Christian Louboutin celebrated the opening of our first men’s boutique in Milan with a festive block-party during Milan Fashion Week. 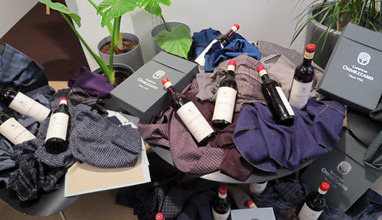 With music by Brendan Fallis, and an army of notable style-makers in attendance, the boutique received a warm welcome to Milan­­-Italian style. 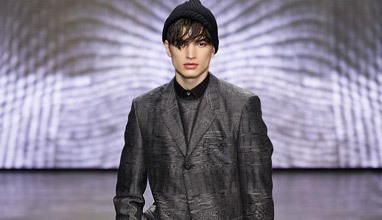 Earlier this year, during the Milan Fashion Week, designer John Richmond presented his Fall-Winter 2015/2016 menswear collection in Italy. 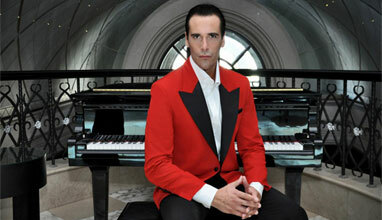 'Sartorial elegance takes center stage. 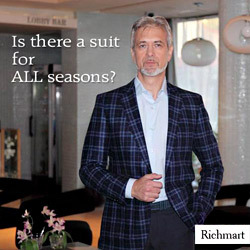 The suit is now the badge of rebellion', Richmond said. 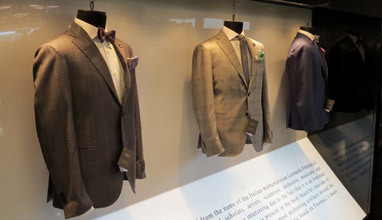 The designer offered a variety of modern daytime men's suits - some of them with Savile Row and Neapolitan bespoke tailoring elements. 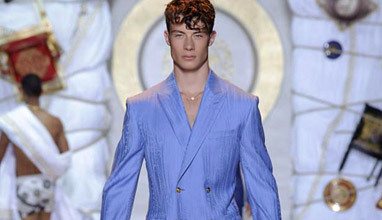 'This Versace collection is stripped back to the Versace soul. Stripped because I took off all of the decorations. 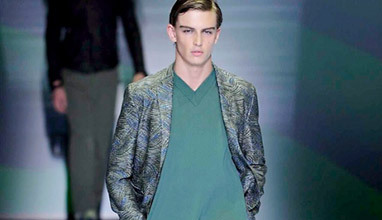 You are going to find a pure Versace soul that stands on its own', said Donatella Versace about her Fall-Winter 2015/2016 creations. 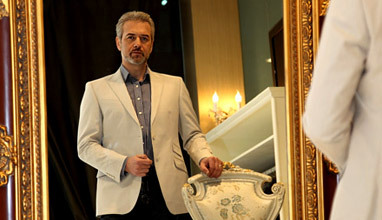 This Monday /18.05/ the top designer Sofia Borisova from Bulgaria, will go to Milan where she was invited by the famous Italian designer Eddy K. On 22 and 23 May he will present his latest collections for 2016. 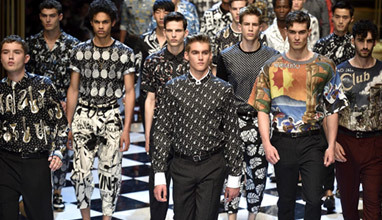 It seems that Milan will take again its place as a capital of Global Fashion (it was last on the Top Spot in GLM's annual ranking in 2008) - or at least will stay one of the Big Four. 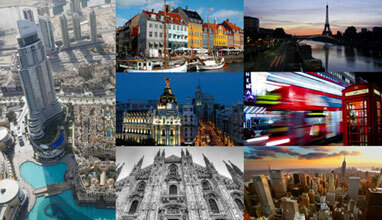 Milan, Copenhagen, London, Madrid and New York - the C.L.A.S.S. 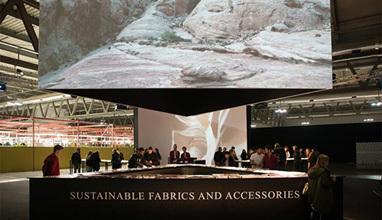 S/S 2016 World Class Tour premieres the latest, exclusive and innovative collections and trends for sustainable fabrics at the international fashion capitals of the world. 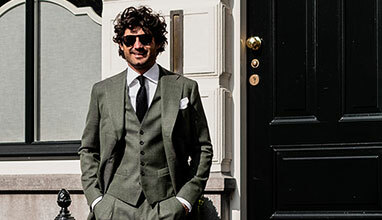 'Expert Italian tailoring - an intrinsic part of the house's DNA - merges with sportswear to create a new archetype of the male wardrobe, acquiring an unprecedented, impalpable consistency unbound to seasons', Massimiliano Giornetti, Creative Director at Salvatore Ferragamo. 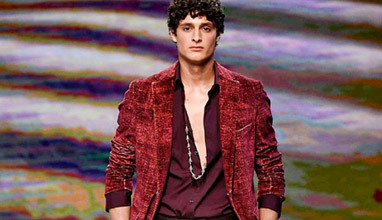 Italian cuisine and clothing, pasta and colors, mixture of materials and prints - all this is part of the next year's hot season Etro men's fashion collection. 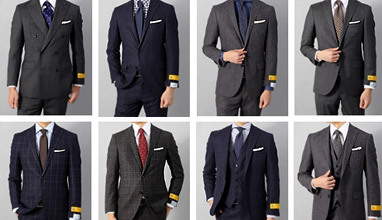 'Begin × THE SUIT COMPANY' collaboration suit sales started on October 16, 2014 in the Suit Company stores in Japan. 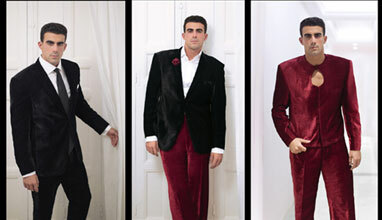 The suits are made from Italian fabrics of the brand Carlo Barbera. 'In my opinion, Canada has been the perfect incubator for my brand to grow and to figure out what works and what doesn't, and to get to a point where it's strong and then: 'What next?' I think for me, it's Europe for many reasons. 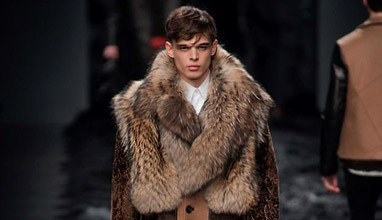 I think that's a natural evolution for a Canadian designer to take', said Christopher Bates to CTV News Canada. The previous week we presented you Milan Fashion Campus as one of the great places in Europe to receive quality fashion design education. 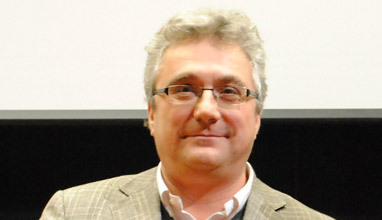 Today, we continue our presentation with an interview with MFC's director - Angelo Russica. 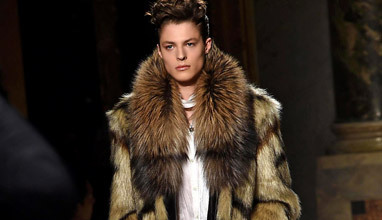 Fur and knits are the key elements of Fendi Fall-Winter 14/15 menswear collection, designed by Silvia Venturini Fendi and presented in Milan earlier this year. 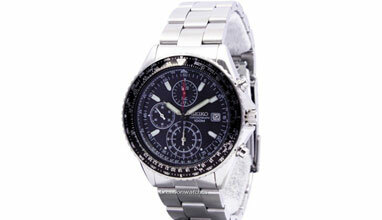 It is graphic, luxurious, stylish and pragmatic. For the new Fall/Winter 2015-2016 collection the brand presents “Luxury Denim” - a perfect combination of modernity and the finest fabrics: wool, silk and cashmere blends in a wide range of colours, for a contemporary style that upholds the elegance and meticulous details that run through the entire collection. 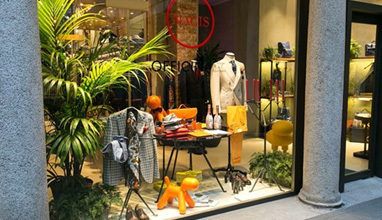 Larusmiani is the oldest luxury clothing and tailoring brand on Via MonteNapoleone, the heart of Milan’s fashion district and emblem of Italian style, established in 1922. 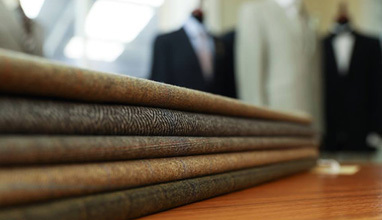 In 1950 a textile company was also established, when the founder of the company decided to put his knowledge of raw materials to use not only for his own creations, but also to supply fabrics to other tailors. 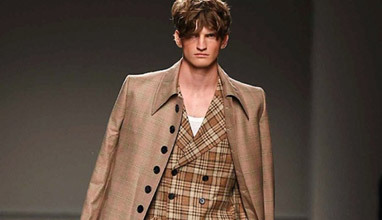 In celebration of his brand's 30th anniversary, the Australian menswear doyen Dom Bagnato chose the European fashion capital of Milan to shoot his Spring-Summer 2015 collection, debuting at Melbourne Spring Fashion Week. 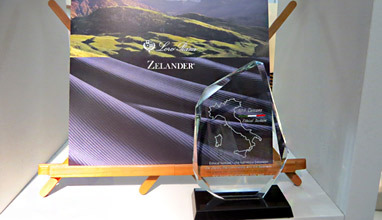 In 1924 the two brothers Mario and Carlo founded the company Lanificio Fratelli Ormezzano in Valle Mosso, Italy. 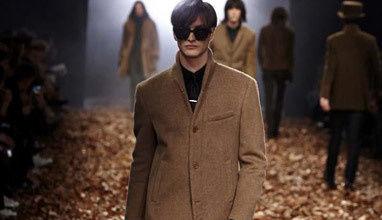 Their aim was to manufacture pure wool fine fabrics for menswear, employing combed wools in an innovative way. 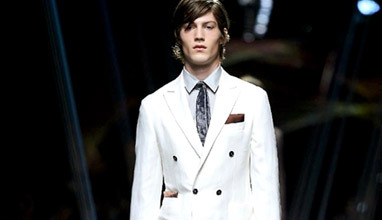 They introduced the new concept of fancy fabrics, thus creating an original interpretation of the men's suit. 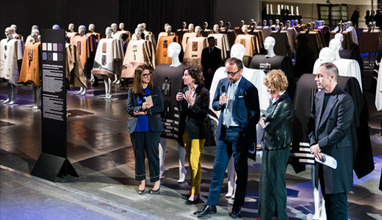 After the 14-year old Martina Martini visited Lanificio Fratelli Cerruti at Milano Unica and participated in the selection of fabrics for the next collections of the brands Richmart and Richmart Junior, the managers of the Italian fabrics brand were impressed by her taste and flair and invited her to a two-week visit at Cerruti factory. 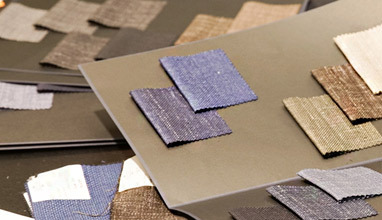 Loro Piana has always been associated with the very finest and best raw materials. 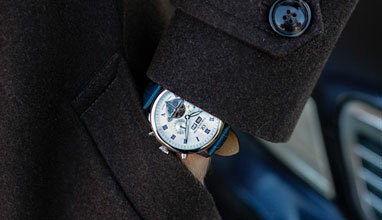 For the past six generations, Loro Piana has been the vanguard of developing the potential of Super 120's wool. 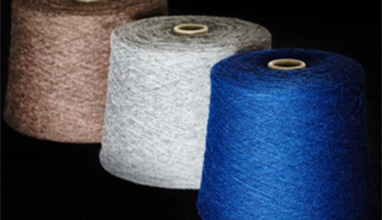 This winter the focus will be on wool - the oldest natural fibre known to man. 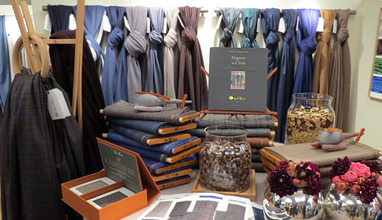 Alongside cashmere, wool has undergone innovative treatments and used to create brand new blends to enrich the products presented at the Milano Unica fair, where I visited the booth of this premier international textile brand. 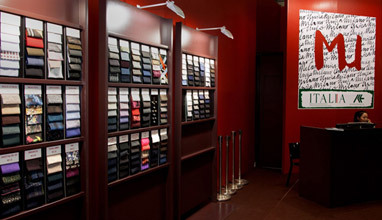 The Lanificio Fratelli Piacenza is specialised in the production of high-quality fabrics and clothing. 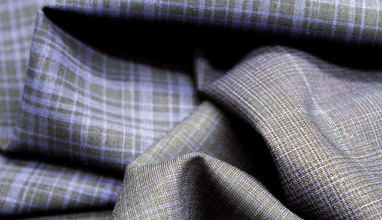 The Piacenza family has a mission: to keep its natural inclination towards intuition focused on producing fabrics with innovative looks and performance, while respecting the craftsmanship that is still a hallmark of the wool mill to this day. Martina Martini is 14 years old and this is her third participation at Milano Unica. After one year at a school in Canturbury, UK, she continues her education at the places, where people are doing real business. 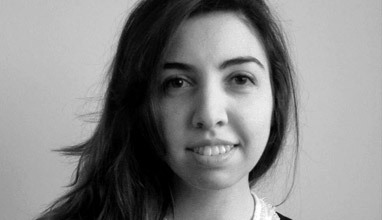 Martina has interest in fashion design, fashion journalism and photography. At Milano Unica she was selecting fabrics and accessories for her Autumn/Winter collection of children's jackets Richmart Junior. 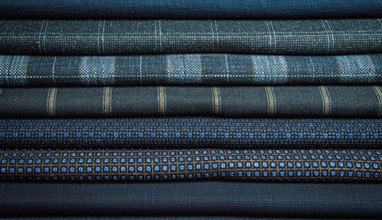 Earth, Wind & Fire is the new line of technical fabrics presented exclusively by Vitale Barberis Canonico, one of the oldest woollen mills in the world, at the 19th MILANO UNICA (9-10-11 September 2014). 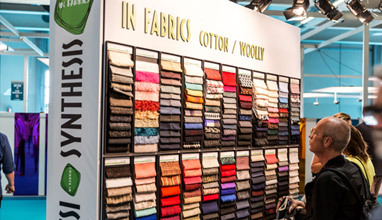 The 19th edition of the Italian Textiles Trade Show Milano Unica will run from September 9-11 2014 at Fieramilanocity. 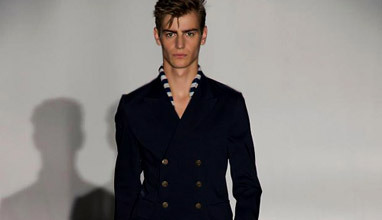 Gucci's designer Frida Giannini offers maritime style to the gentlemen for the hot season of 2015. 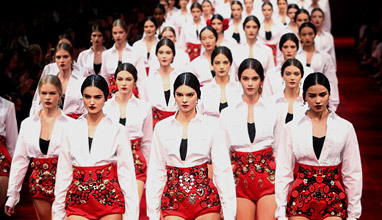 She presented brand's collection on June 23, 2014 in Italy during the Milan Fashion Week. 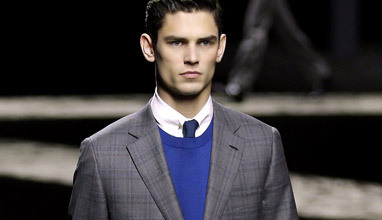 The colors are mainly white, navy blue, red and beige. 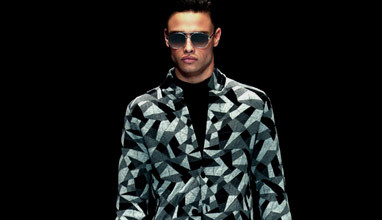 Emporio Armani presented Spring 2015 menswear during the Milan Fashion Week. 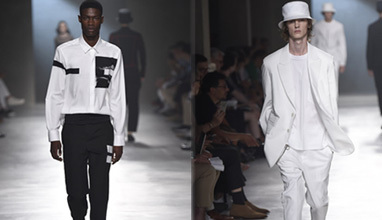 Italo Zucchelli, Calvin Klein's creative director, presented brand's Spring-Summer 2015 menswear collection on June 22, 2014 in Italy during the Milan Fashion Week. For the next year's hot season, the designer offers an extremely clean-cut line in mainly beige skin tones and transparent materials in strong colors (vermilion red, solar yellow and tangerine) in contrast. 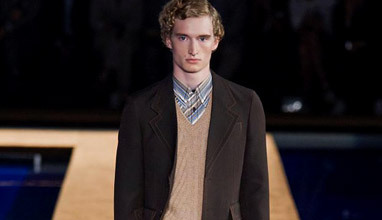 Miuccia Prada believes that fashion for women and men should be presented together. 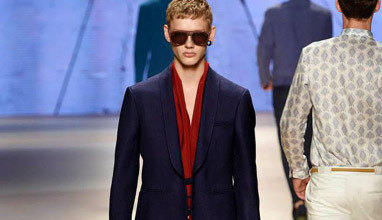 Versace presented Spring 2015 menswear during the Milan Fashion Week. 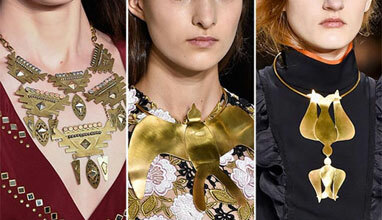 The collection is inspired by the Romans - with their traditional elements and accessories.